The carnival 2020 have already started! The parade order was defined! The founders of LIESA, guests, School guilds and press leaders fill up the Rio Samba city amphitheatre to attend and take part of the drawing of the order of Samba Schools presentation. According to the Parade Regulation, the Champion School of Access Group will open the Sunday spectacle of Special Group. And the second school which scored the least points will be the first at Monday presentation. In the drawing, the remainder Schools are divided in equivalent pairs, in order to have a technical balance between the participants of Sunday and Monday parades. So at first, the drawing define the days of presentation. Then, the little balls are drawn again, which results correspond to the parade order. The first grid is formed. 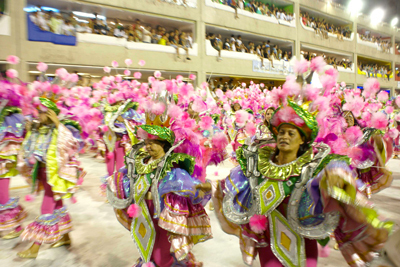 If the Samba Schools want they can change their positions in the same night which they parade. So, after that the real order is finally formed!